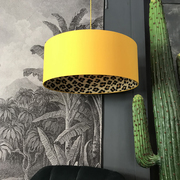 ADD A PLAYFUL TOUCH TO YOUR INTERIORS WITH OUR SIGNATURE COLLECTION OF HANDMADE LAMPSHADES, KOOKY LAMPS & UNIQUE HOMEWARES. Lover of colour, the dark side and all things kitsch, Love Frankie are on a mission to inject a big ‘ol slice of fun back into the interiors world. 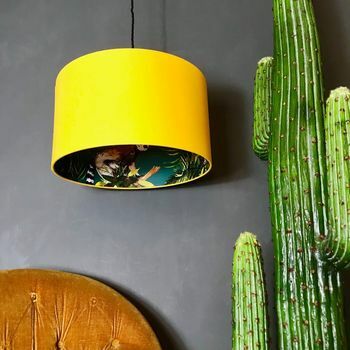 With our signature collection of handmade statement lampshades, kooky lamps and unique homewares, Love Frankie are passionate about showing you how easy it is to add a playful, eclectic touch to your homes. 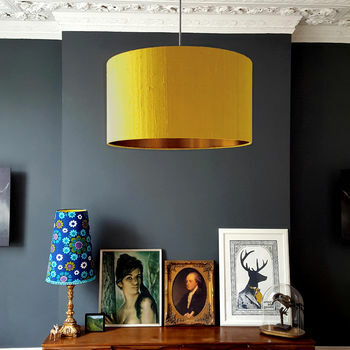 The online lighting and interiors brand was launched in 2009. Following on from their online success, Love Frankie made a triumphant arrival to the high street, opening their flagship store in the beautiful market town of Totnes, Devon. 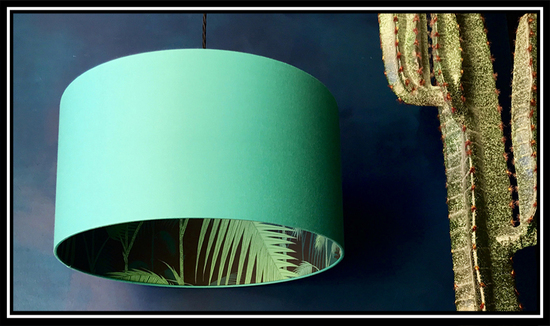 Love Frankie lampshades are handmade to order by our small but brilliant team right here in the UK. 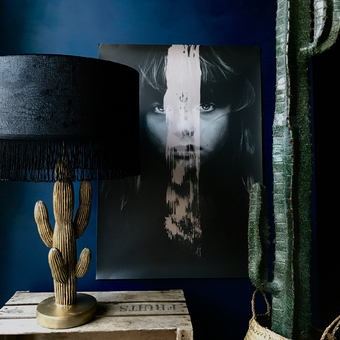 A carefully curated collection of wonderful lampshade designs to browse, from sumptuous silks and bright coloured cottons, to statement wallpapers and ambient metallic linings. 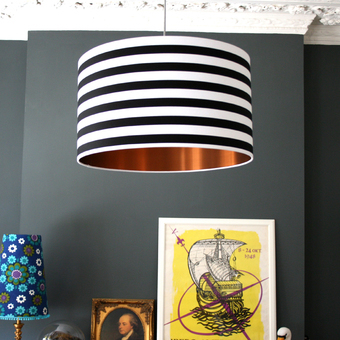 We’re pretty sure there’s a Love Frankie Lampshade out there for everyone. 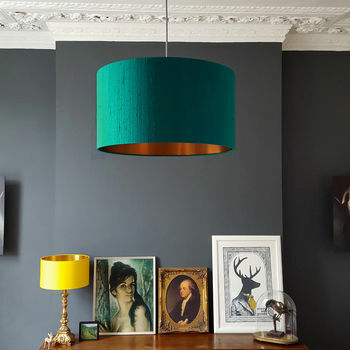 "Fabulous friendly and helpful service and beautiful lampshades. A little touch of luxury and elegance." "lovely lampshade which came quite quickly and well packed"
"Beautifully finished lampshade that came with 2 fittings, dependant on your own individual lamp base. Bought to tie in with decor as I have the wallpaper in another area of the house. I would certainly recommend this product to anyone and would definitely buy another design again." Love Frankie is a small and dedicated team who lovingly hand make all your orders in our sunny little UK studio. We aim to dispatch within 7-14 working days but please let us know if you need your item sooner, as we will always try our best to meet your deadlines. All UK orders are dispatched with DPD on a next day service. All European orders are dispatched with DPD on a 3 - 5 day service. DPD will be in touch directly to let you know your tracking number and also your delivery time. If this delivery slot is inconvenient for you, please reply to DPD to arrange a more suitable time. All of our smaller items will be shipped with DPD or Royal Mail.. Please make sure you take full advantage of our free fabric sample service to avoid any unnecessary returns. AS OUR LAMPSHADES ARE VERY FRAGILE TO SHIP, WE ASK YOU TO USE A TRACKED AND INSURED COURIER AS WE CANNOT BE RESPONSIBLE FOR DAMAGES ON THEIR RETURN JOURNEY. THEY MUST BE PACKED WITH CARE IN THEIR ORIGINAL PACKAGING & ONCE THEY ARRIVE SAFE AND SOUND AT OUR STUDIO WE WILL ISSUE A REFUND. PLEASE PUT ALL YOUR DETAILS IN THE BOX INCLUDING YOUR ORDER NUMBER. Please make sure to measure your space carefully to ensure you order the correct size and avoid returns. Always email and ask for our advice and take advantage of the free swatch service we offer before ordering as we are always happy to help! We make every effort to reproduce colours on the site as accurately as possible. However, different computers reproduce colours in slightly different ways, and so exact colour matches are not yet possible over the Internet. This means that when you order products from the Shop, colours may differ from what you see on the screen. If you are not satisfied with the colour of the item you have ordered, we operate a returns policy. Please make sure you take advantage of our free fabric and wallpaper sample service. 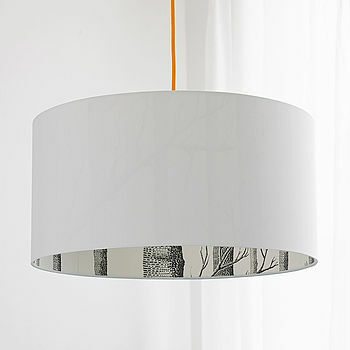 Lampshade Options: We cannot confirm the availability of the options selected within the product description (i.e different lampshade types/sizes) until the order has been placed – if we cannot fulfill the options/order we will notify you by email or phone and the order can be cancelled with full payment refunded. Positioning Of Pattern: As each product is individually handmade to order, the exact positioning of the fabric pattern may differ to the photograph on our website. The seams on the lampshade join may not join up as we use a variety of different fabric prints to produce our lampshades.